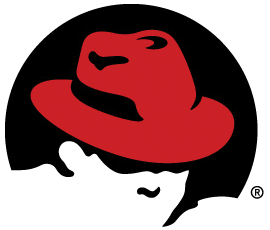 Red Hat has released version 3.2 of Red Hat Enterprise Virtualization (RHEV). The biggest new feature of this version is storage live migration, which allows a virtual machine to move online to another storage domain without interrupting the operation. RHEV also now supports the latest CPUs, including Intel's Haswell series, AMD Opteron, and PowerPC G5 processors. Another key element of the newest version is a new plugin framework that lets you add new third-party features to the user interface. Other features include improvements in logging and monitoring, storage, network management, and power management. The FreeBSD project has announced FreeBSD 8.4, the latest release in the FreeBSD 8 series. The FreeBSD developers maintain two branches, which means FreeBSD 8.4 shares attention with the FreeBSD 9.1 production release. (The legacy FreeBSD 8 series is kept in service for users who want to maintain a more conservative update strategy.) Version 8.4 includes the new Gnome version 2.32.1 and KDE version 4.10.1. All currently available LSI controllers are supported for the first time. The latest release also fixes bugs, adds several new applications and components, and tackles a number of security issues, especially in Bind. Cisco announces a new series of Carrier Routing System-X (CRS-X) backbone routers. The CRS-X offers four times more bandwidth than the previous CRS-3 System – up to 400Gbps per slot. The chassis can hold up to 16 slots. Interfaces of 100GB, 40GB, and 10GB are also included with CMOS-based optical data transmission under the Cisco brand name CPAK. The IOS XR router operating system is based on the QNX real-time kernel. The BSD variant, FreeBSD, has just updated to version 7.0. According to announcements on the project’s website, performance and exploitation of multiple processor architectures have been greatly improved. Ken Smith from the FreeBSD Release Engineering Team has announced the released version 7.3 for download. The new FreeBSD comes with updated ZFS and a re-worked bootloader. The FreeBSD project has released its 8.0 version of the free UNIX operating system, thereby starting a new stable branch. The FreeBSD Project has released version 7.1 of the BSD Unix-based operating system. The release comes without any spectacular changes. The FreeBSD Community should leverage GPLv3 to convince Linux users to use FreeBSD. It is a good time to push FreeBSD, says Justin Gibbs, founder and Vice President of the FreeBSD-Foundation.